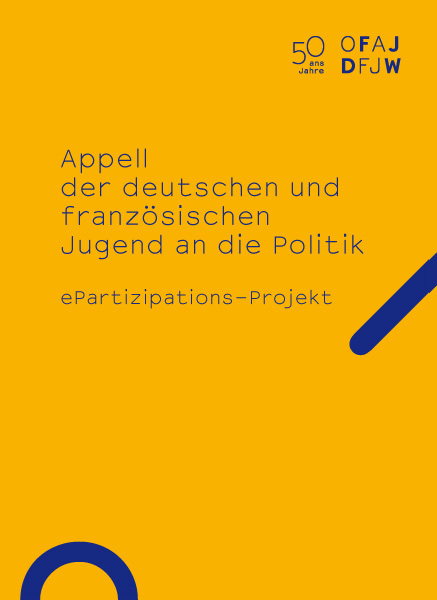 were collected online within the project ‘e-partizipation’. Two 24-page bookles in french/german, postcards, banners. Distributed for the 50th OFAJ/DFJW aniversary.